Robert F. Kennedy's Law Day Address was delivered on May 6, 1961 (Law Day) to the students of the University of Georgia School of Law in Athens, Georgia. It was his first official speech as United States Attorney General, and the first endorsement of civil rights by the Kennedy administration. Kennedy used most of the address to talk about civil rights and how he planned to enforce them. He placed a heavy emphasis on the rule of law and the example the United States would be setting for the international community in the face of communism. Kennedy had spent a substantial amount of time preparing for the speech, which ultimately distracted him from the Freedom Rides that would test his resolve to ensure civil rights in its immediate aftermath. Kennedy had been preparing for his first speech as Attorney General for five weeks, which itself went through seven different drafts with a "Southern Brain Trust" of advisers and particular assistance from Assistant Attorney General Burke Marshall and John Seigenthaler. Over time the work transitioned from a statement on organized crime to one about civil rights. Kennedy wanted to make it apparent that he aimed to change the political climate in America. Before Kennedy arrived on May 6, a group of protesters gathered outside the lecture hall. Police arrested five fundamentalist minsters with signs saying "The Bible teaches separation." Georgia Governor and university alumnus Ernest Vandiver, a critic of the Kennedy administration's attitude towards segregation, was noticeably absent from the event, instead choosing to go to the Kentucky Derby. Among those in attendance were Athens Mayor Ralph Snow, State Senator Julian Cox, and Charlayne Hunter, one of the students who was involved in the integration of the school. 1 2 3 4 5 6 7 8 9 Catsam, Derek Charles (2009). Freedom's Main Line: The Journey of Reconciliation and the Freedom Rides. Civil Rights and the Struggle for Black Equality in the Twentieth Century. University Press of Kentucky. ISBN 9780813138862. ↑ Mahoney, Richard D. (2011). The Kennedy Brothers: The Rise and Fall of Jack and Bobby (illustrated, reprint ed.). Skyhorse Publishing Inc. ISBN 9781611450484. 1 2 3 4 5 6 7 8 Goduti Jr, Philip A. (2012). Robert F. Kennedy and the Shaping of Civil Rights, 1960-1964. McFarland. pp. 58–61. ISBN 9781476600871. ↑ Kennedy, Robert F. "Address by Honorable Robert Kennedy, Attonery General of the United States" (PDF). United States Department of Justice. 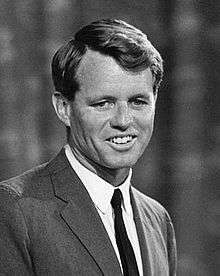 ↑ "Law Day Address by Robert F. Kennedy: The Speech". University of Georgia School of Law. 15 March 2016. Retrieved 9 September 2016.